"Sanctity has been an ideal of our nation. It was the national idea. Those who achieved it, who realized this national ideal became heroes, heroes of spirit, ascetics, lighteners, and people wanted to follow them." Moscow, July 18, Interfax - Patriarch Kirill of Moscow and All Russia says sanctity is Russian people's ideal. “It becomes clear that Holy Russia is never-dying spiritual and moral ideal of our people and sanctity is an expression of this ideal, its dominant. 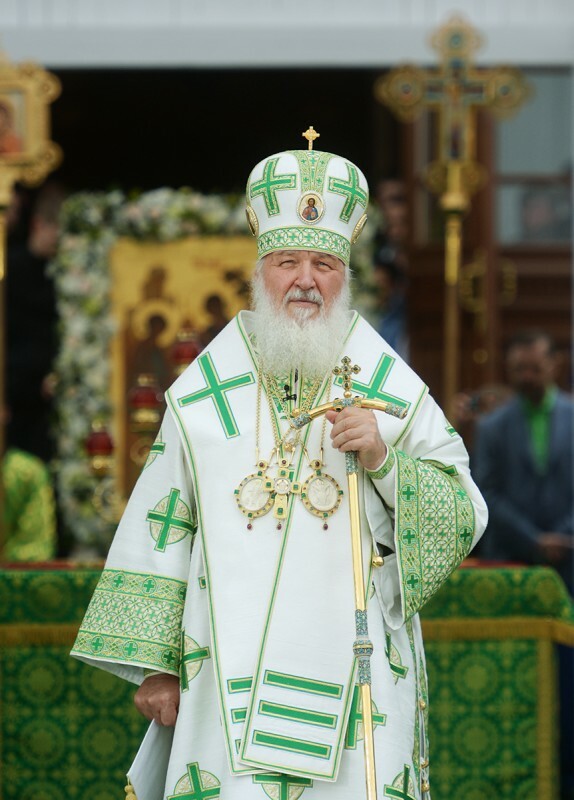 It’s amazing, but if we ask a simple question: “where else sanctity was the main and the basic ideal of people’s lives?” and here we don’t mean monasteries or some groups of people who devoted themselves to God, but we mean a grand nation,” the Patriarch said after the Liturgy celebrated in the Holy Trinity St. Sergius Laura on Friday, the Feast of finding St. Sergius’ holy relics. “Sanctity has been an ideal of our nation. It was the national idea. Those who achieved it, who realized this national ideal became heroes, heroes of spirit, ascetics, lighteners, and people wanted to follow them,” he said pointing out that St. Sergius is one of such examples. Celebrations dedicated to St. Sergius’ 700th anniversary are going on in Sergiyev Posad. Tens of thousands of believers from Russia and the CIS countries take part in the festival events.